You can lose your weight without diet. Yup, we want to maintain or lose weight without regaining it. I remember being serious about losing my weight immediately, I went to the gym and I did everything until I was tired and I just gave up… after sometime I gained more weight than I can ever imagine. Then I told myself, “I would never ever go to the gym again and do some diets!” We don’t want to regain our loosed weight, don’t we? 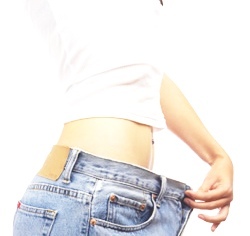 You should lose your weight slowly to keep off your pounds permanently. The study shows that a pound of fat is equal to 3, 500 calories. And most adults gain 1-2 pounds every year. And a hundred of burned calories everyday can avoid that if your goal is only to maintain your weight. You can set a goal of losing one pound in a week by burning 500 calories in your body if you are aiming for a great success of losing weight. Many people think that skipping breakfast would shave their pounds effectively. The truth is if they skip on eating their breakfast, their body will become hungrier throughout the day and they will tend to eat more. That means they will add a lot of calories/pounds in their body. So it’s best to eat your breakfast. Taking Vitamin B12 after your breakfast can also help to provide you energy and boost your metabolism. It is also important that you change your eating pattern. Eat at least 5-6 small meals throughout the day instead of three large meals to stimulate your metabolism and burn fatter. Try to close the kitchen at night. This means stop and not just avoid eating or munching foods. Your digestion or your metabolism moves slowly during night time. Thus, those foods which are not digested become fat. Exercise, move your body. You can walk around your living room while watching television. Burn those calories before sleeping so your body will burn the stored fat throughout the night. That’s not the only thing that occurs while we sleep. Our body also consumes about 450 ml of water overnight through urination and breathing. Thus, our body will become dry and is in need of water. Lack of water slows down our body’s metabolism. Thus, it is important that we drink water in the evening before going to bed and after waking up in the morning, or even all the day through. You can drink water as much as you can! You need water to regulate the functions of our body especially your metabolism. So If you want a different result then don’t do the same thing over and over again. Change your old way of life with a new one.